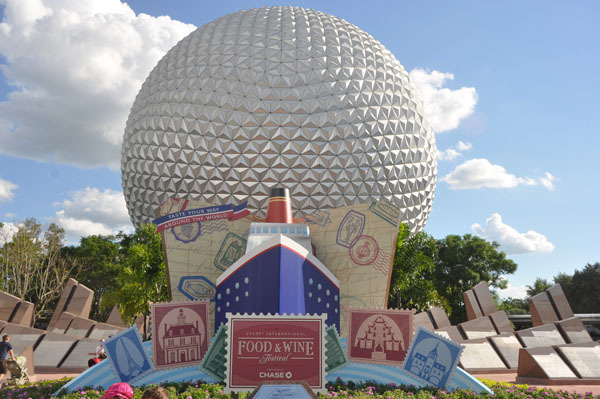 The 17th Annual Epcot International Food and Wine Festival opens today September 28, 2012 and runs until November 12, 2012. This is an event that my entire family looks forward to all year. I had the opportunity to experience the food booths yesterday. Words can’t tell you how excited I was. I have been going to this event I think since the first one. This year the food booths have added some new items that really had me excited. I looked over the menus and decided what I wanted to try on opening day. Of course we will be back many times before the event is over. 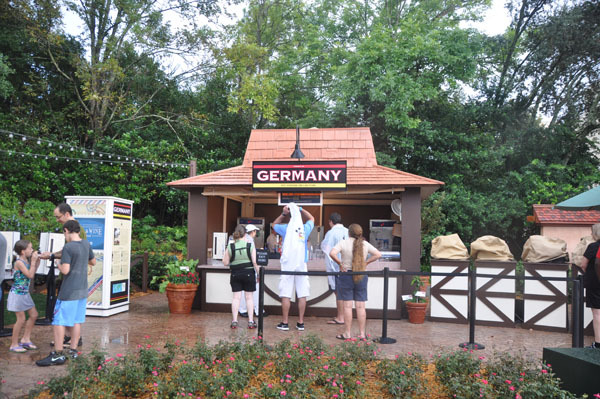 Be aware that some of the food booths have changed locations from previous years. Don’t forget to pick up a park map and festival book when you enter the park. You might want to decide ahead of time where you would like to visit. The cranberry bog is back. 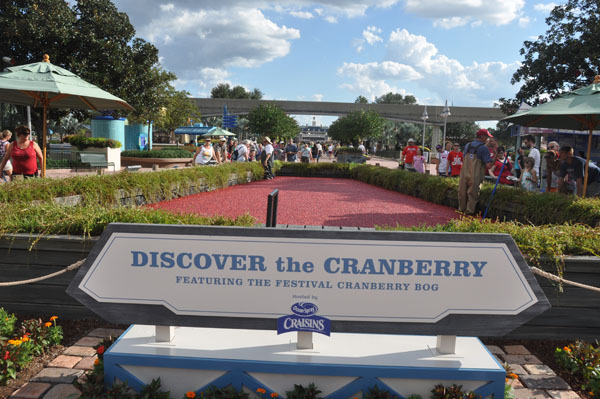 If you are curious about how they harvest cranberries you will want to check out this display on the walkway between Future World and World Showcase. My favorite booth to start nibbling is Greece. I was excited to try the new offering in Canada, Le Cellier’s Wild Mushroom Beef Filet Mignon with Truffle Butter Sauce. It was $6.50 and worth every penny. It was delicious! 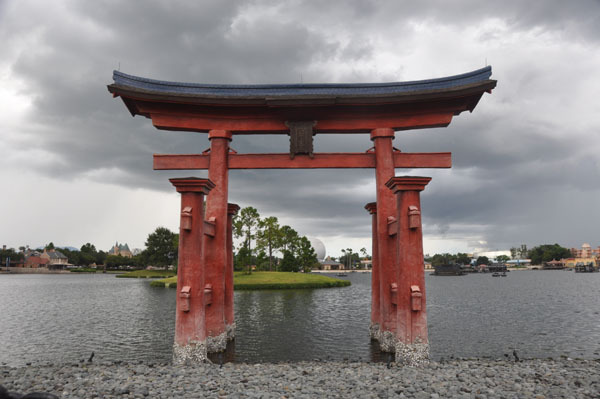 We continued nibbling around the World Showcase. We also enjoyed some wine along the way. 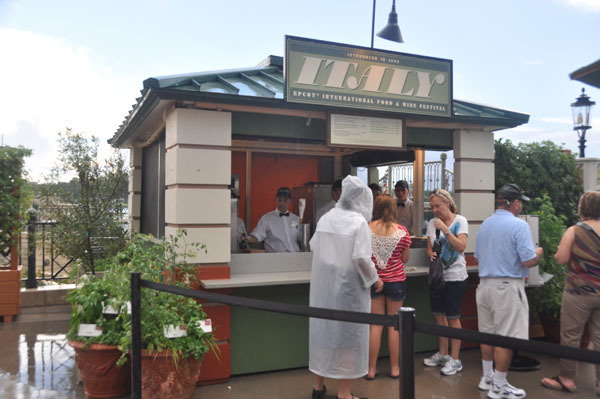 If you are on the Disney Dining plan be sure to use your snack credits for the food booths. The skies started to get dark and we started thinking about a spot where we could wait out the rain. We decided that the American Pavilion would be a great stop to take a break. Be aware that the food booths may shut down if the rain is hard enough. Be sure to pack a poncho if they call for rain. 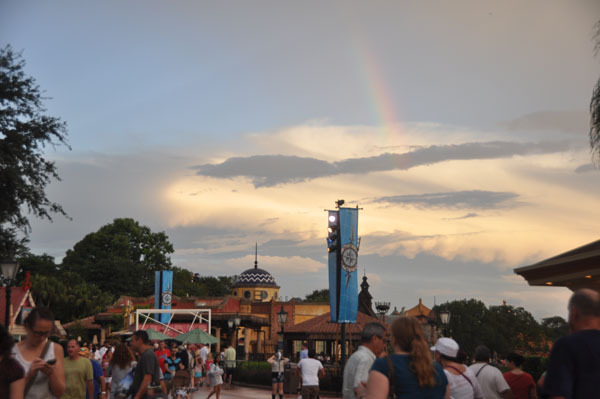 After the storm we were treated to a beautiful rainbow over Epcot. I think my favorite food was a great dessert at the Dessert booth, Dark Chocolate Mousse with Chili and Salted Caramel. It was only $1.50 and was heavenly. My suggestions are to purchase the little mini gift card you can wear on your wrist for charging your food items. No need to fumble for your credit card or cash. Take the time to review the menus before you go. Go with an appetite because there will be plenty of food and wine for you to try. Don’t think you can eat your way around the world because you will be full long before you make the circle. If you get the chance take the time to visit this great festival at Epcot. Be sure to enjoy the Eat to the Beat Concerts. You will also be able to see many of the stars from HGTV. This year they have added many new dining experiences. There is something for everyone. Don’t forget to stop by the Festival Marketplace shops for lots of great merchandise. 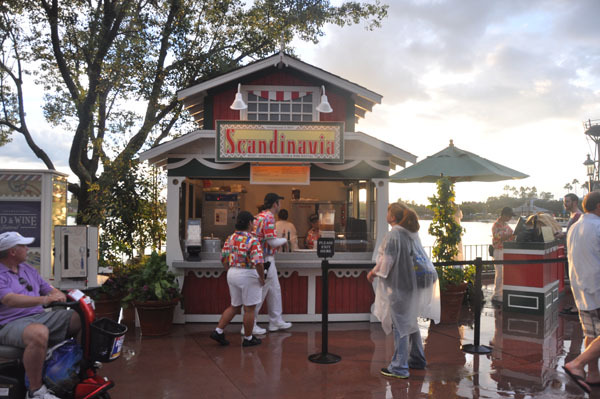 What is your favorite food item or favorite tradition at the Food and Wine Festival? See you in Epcot.